For pricing and more information on this title, call us at 1-877-394-8826. Discounts may be available to customers that subscribe to both online research and print products. All the information you need to quickly produce legally precise, customized memoranda of points and authorities at all stages of litigation, as well as trial and appellate briefs. All the information you need to quickly produce legally precise, customized memoranda of points and authorities at all stages of litigation, as well as trial and appellate briefs. 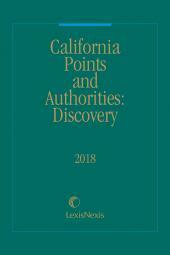 This is the only California publication to provide forms that combine concise arguments of the law with accurate summaries of supporting statutes, cases and rules. Identifies The Strongest Points And Authorities For The Points Of Law. 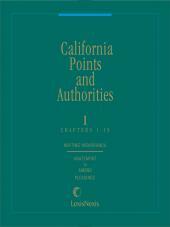 Easily adaptable for use in trial and appellate briefs and researching jury instructions, the forms contained in California Points and Authorities are designed to assist the attorney in arguing points of law at all stages of litigation. 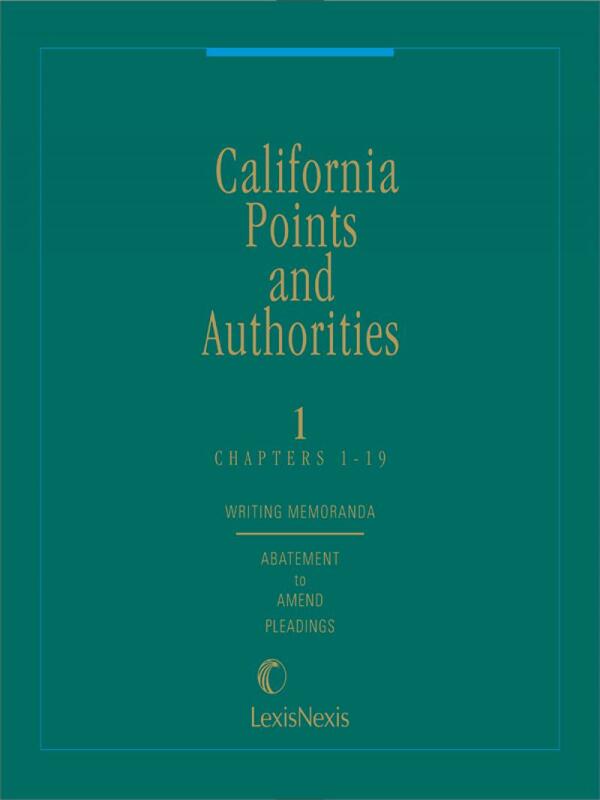 California Points and Authorities gives you the resources you need to effectively represent your clients in law and motion practice as well as at all other stages of litigation. 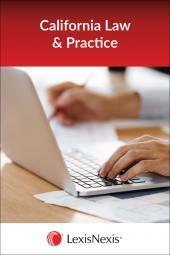 With extensive-cross referencing to California Forms of Pleading and Practice from Matthew Bender, the set is a useful timesaving tool. 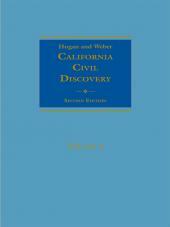 Topics cover the broad range of California law, both substantive and procedural. Pretrial and post trial motions and specific points in a broad range of practice areas including: Business and Commercial Law, Civil Rights, Employment Law, Insurance Law, Public Administrative Law, Real Estate Law, Torts and Will Contests.